It takes more than a few water sprinklers to dampen the spirits of Jose Mourinho and his players. Terrific rearguard action by Inter last night. Barcelona had no Plan B, and no Iniesta either. 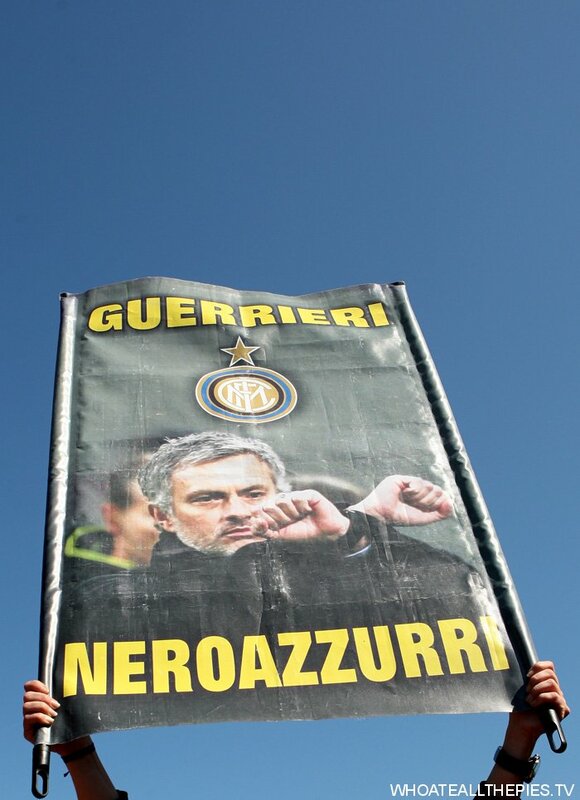 Video: Jose Mourinho & Inter Players Go Mental After Barcelona Triumph – Activate The Sprinklers!